Why is Shenzhen the king of cheap? I saw some crowd selling 20 ds1307 breakout boards on banggood for $12. How do they do it? I can't buy 20 ds1307's for $12 not to mind add a crystal and put a PCB under it. You'd think as well that there'd be some crowd outside of Shenzhen that could make pcb's for cheap but the differences are obscene. $25 for 10 of them including shipping or if I buy off the likes of beta layout it's 60-70 euros for 1 board. Is it really just labour costs that are creating the huge difference? Re: Why is Shenzhen the king of cheap? The reason is twofold: the setup cost is a large portion of the cost per board and you're being ripped off by the middle man. Even for fancy flex in low volume in China you end up paying maybe 70 bucks / square meter for the PCB substrate, FR-4 in large volume you can go sub 20 bucks. The components are going to be in the cents range if you buy them by the box (10+ reels) probably, and assembly costs virtually nothing by itself (again, setup costs). But you pretty much have to know where you order from to get a good pricing, and it does pay to go to the industry trade fairs if you really want to squeeze out a nice deal. Also, another factor is that European manufacturers use fancy expensive base material, while the Chinese ones will use the locally sourced equivalent. I've been prices for base materials that differ more than tenfold, and the Chinese stuff performs just as well most of the time. So unless you want unobtanium pixiedust for 50 GHz RF or need to meet some sort of safety standard, you can probably use the Chinese material. A couple of other aspects that come to mind. Often times the parts are counterfeit or gray market, a manufacture will make a bunch of components for the client, then run off a few more batches to sell themselves. The other thing I suspect leads to many of these cheap modules is surplus. You've probably seen or heard stories about the vast amount of nifty electronic surplus that was available in the US back in the day. Now all the manufacturing is in China so all the surplus is in China. There are still mountains of surplus parts, remainders from production runs, cancelled equipment, goofed orders, used/salvaged components, factory rejects and floor sweepings, you name it. It's likely a bit of all this stuff ends up in various dirt cheap modules and widgets from China. Some of it is quite good quality, others not so much. Hewwo, I'm Gabwiel from OwOComm! It is because you are getting ripped off by distributors and retailers who charge anywhere between 2x to 10x markup and (IMO) add little value. There are also manufacturers who don't bother dealing with distributors at all, but you wouldn't have heard of them. LCSC is probably the closest to a fairly priced distributor you can find, and there you will find that even genuine parts from non-Chinese brands are cheap as well. Hewwo, w-welcome to OwOComm headqwarters, yuw can call me Gabwiel! UwU It's abowt time I intrwoduce yuw to a-an exciting worrld ow commuwnication systwems! LCSC is probably the closest to a fairly priced distributor you can find, and there you will find that even genuine parts from non-Chinese brands are cheap as well. BS, most of the well known brand parts are more expensive than at Mouser or Farnell, except passives. But then you also have TME with cheap passives. How do they do it? I can't buy 20 ds1307's for $12 not to mind add a crystal and put a PCB under it. 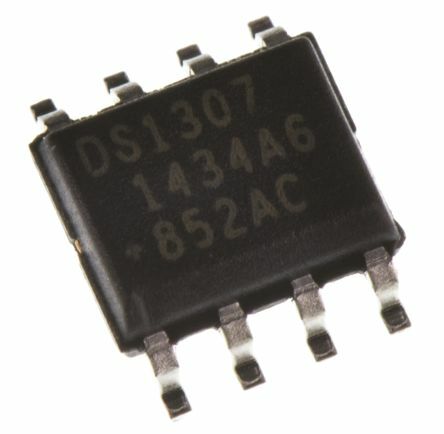 If you look on the pictures, Package of DS1307 does not match datasheet and pictures of genuine IC. I said non-Chinese brands, not western brands. I'm talking about the Japanese and Korean stuff, for example u.fl connectors (genuine hirose ones) cost 1/5 the price compared to digikey, surface mount TCXOs, SAW filters, and other precision components that are too low margin for the western manufacturers to care about but still don't yet have local alternatives. TI and other western manufacturers make you sign BS contracts that say you can not resell the parts if you have negotiated a very high volume deal with them, in an effort to keep market prices for low volumes way inflated. This is why they can only be found for good prices on the gray market. OTOH I see a lot of Japanese parts for very good prices on LCSC (some TCXOs from daishinku with decent specs are even cheaper than ordinary crystal oscillators), which means they aren't as bothered with "controlling the market" like western manufacturers do. TI and other western manufacturers make you sign BS contracts that say you can not resell the parts if you have negotiated a very high volume deal with them. This is why they can only be found for good prices on the gray market. 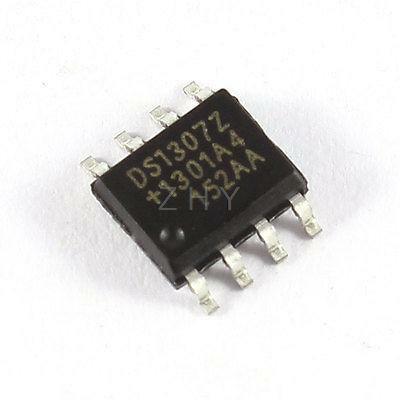 The chip in question, ds1307, is a RTC chip which is quite mundane meaning it is likely a "clone". Not a direct copy (that's a myth), but a reimplemented compatible chip. Part numbers just mean "this part will perform to these specs", so anyone is free to make a ds1307 compatible chip and sell it as long as they aren't claiming it is a genuine maxim part. If it performs to spec then does it matter? Then your incoming QC ability is junk. Most of that crap somewhat work but there is no chance you got 99% of genuine brand new parts. Inspecting under microscope can expose a lot of crap. I don't see anything wrong with new old stock parts as long as you bake them prior to reflow. Indeed most taobao sellers are ignorant about moisture sensitive parts handling and I would recommend baking all parts. You can't blame them because when you order 20 chips they still have to break open the pack of 10000 and what are they going to do, store it in a humidity controlled room? For example I've got things like ATTINY24 and ATTINY24A mix with marking ground, blacktopped and new ATTINY24A marking applied with fresh date code . AD8293 which were genuine but like 20% of them were faulty. ICs which were salvaged but sold as new. Baking is for moisture sensitive parts which are not that many of a total amount. It won't make oxidized leads solder better. My QC has caught a ADC with marginal jitter performance in a batch of 200. These are NOS with date codes going back to 1997, and the failure was because I didn't bother to bake the chips. The prices I got for them was $0.5 each, which is about 1/10th the price on digikey. If you are getting that kind of garbage then you need to see what kind of sellers they are and see about avoiding them in the future. From experience I find that a positive feedback rate of >4.8 on taobao (>98.5% on aliexpress) usually mean you get good parts. On ebay the feedback system is far more confusing and I found it impossible to weed out the bad sellers from the good ones. I haven't had solderability problems even with the 1997 batch of ADCs. Maybe it can be fixed with better flux. My QC has caught a ADC with marginal jitter performance in a batch of 200. These are NOS with date codes going back to 1997, and the failure was because I didn't bother to bake the chips. Most likely it had nothing to do with baking. With moisture sensitive parts you'd more likely have things like parts completely failing immediately or after some time. Not due to silicon failure but things like bond wires coming off due to package expansion. It is because you are getting ripped off by distributors and retailers who charge anywhere between 2x to 10x markup and (IMO) add little value. - and you're paying for the overhead of pulling just a few units of a part — this effort is similar whether you're buying 2 pieces or 2000. So if you're not in a hurry and don't mind having to order from multiple places, you can save money, but with distributors you're paying for convenience, speed, and traceability. It depends on the application. If it's for a hobby project, sure, go ahead. But if it's for a commercial product, where you not only worry about whether it works now, but whether it will work reliably in 22 months, right before your warranty obligations expire, then you may not want to risk an unknown vendor. If it performs to spec then does it matter? The thing is, usually they don't. If part apparently works in your application, does not mean it performs up to all specs. In case of Maxim's RTCs this is the most dominant reason. Surplus for really cheap stuff. For a hobby and playing around I see no problem, makes stuff available, you just have to be aware of it and not trust "new" or "genuine" in the description. Some cost reduction comes from low margins and subsidized shipping, but its influence on the price is being exaggerated IMO. When you look at the stuff that is not available as counterfeit/salvaged/surplus, prices come very close to some other sources. You get what you pay for isn't really true. The worst assembled boards I've ever gotten were from a local Belgian assembler, worst PCBs were from some French PCB manufacturing consortium. Paid a massive amount for both, worst quality I've ever seen. They even managed to assemble the components 180° rotated, even though the component wasn't even symmetric in its pad design. Not really, volume pricing is very much a thing, both for PCBs and components. A lot of what you're paying for administrative and logistics costs when ordering things in small volume. For example, the prices you see on Farnell, Mouser, Digikey and RS pretty much include their shipping prices. Why do you think you can buy a whole cardboard box of taped 2N3904 BJTs on Aliexpress for the same price as maybe a few hundred of them on Farnell? Farnell you pay for the service. In the case of PCBs it mostly comes down to a two factors: process setup (design rule check, production tooling, ...) and production method. If you go for the one-off methods you're going to be paying more per board since they're usually more costly in time, but the moment you go to volume production you pay a setup cost once and you can crank out a few thousand boards at minimal price. I can really point out cases where we paid a few hundred bucks of setup costs and then the actual price per board was a few bucks, so a board that initially costed maybe $120 a pop during the prototyping stage (setup cost in other words) went down to a few dollars when we went towards production quantities on subsequent orders. Additionally, in terms of finishing quality I've had better experiences with some of the Chinese suppliers than with European ones for prototyping quantities when stepping away from standard FR-4. Laser cut flex from European suppliers was often delivered with a serrated edge when inspected under the microscope, while the ones from the Chinese suppliers came with a smooth edge, in other words, the Chinese suppliers actually configured their machines properly. Don't forget that manufacturers will probably just buy thing by the reel anyway, even if they only need 20 of them. So surplus is very likely to occur. So honestly, before you go "it's counterfeit" because of a low price, realise that in Europe and the US you're kind of being ripped off half the time or are paying for the cost of labour. My main recommendation though is to actually call the supplier, or better yet, visit them if you're going to be running any volume production. You can also hire some folks to randomly barge in and do quality inspection if you stipulate it in the contract. The only issue I've ever run into with having boards manufactured in China was the bank transfers taking too long, never any fakes, no dodgy work. But on every occasion we clearly stipulated the material they should use (manufacturer, specific product code and ask for the conformance paperwork) and provided the tolerances we accepted. If you exactly stipulate what you want they'll only cut corners where you're ok with it. Honestly, if price is 10 times lower than from reputable source, most likely it is counterfeit or salvaged crap. Also it's good to google "counterfeit DS1307" or "counterfeit LM2596" to realize there ain't free lunch when buying cheap modules/parts. in Europe and the US you're kind of being ripped off half the time or are paying for the cost of labour. If you go to somewhat reputable source in China, component price won't be that much different.